Final round will be held in September, 2017 (Location: TBD). ​InnovateHER is a cross-cutting prize competition to unearth innovative products and services that help impact and empower the lives of women and families. ​Our workforce looks very different from 50 years ago. Women now make up nearly half of the labor force and play a critical role in our nation’s economic prosperity. Most children live in households where all parents work. And as our population ages, families are increasingly caring for aging parents while balancing the needs of work and home. As demands on women and families grow, the need for products and services that address unique challenges increases. The InnovateHER Challenge provides that platform. InnovateHER provides an opportunity for entrepreneurs throughout the United States to showcase products and services that have a measurable impact on the lives of women and families (30%), have the potential for commercialization (40%), and fill a need in the marketplace (30%). * Participants must be at least 18 years old, U.S. citizens or permanent residents, and meet other requirements per the Challenge Rules. 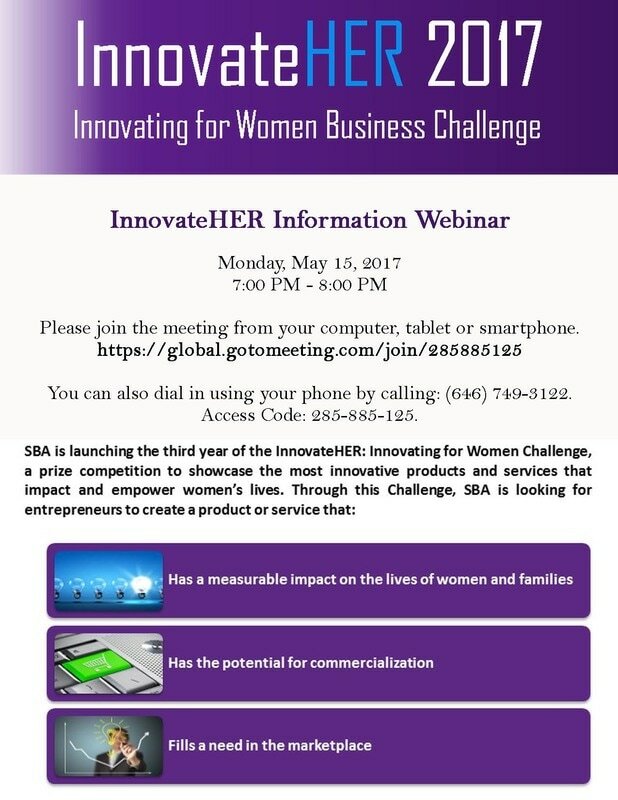 InnovateHER will run through June 3, 2017. The LDCENY will host a local business plan competition. If you are interested in participating, please contact us. For questions and to participate, contact Gail Davis, Director of the Women's Business Center at (718) 385-6700 ext. 24 or by email: gaild@ldceny.org.